If you have a secret stash of toilet roll holders this patriotic windsock is just what you’ve been waiting for! 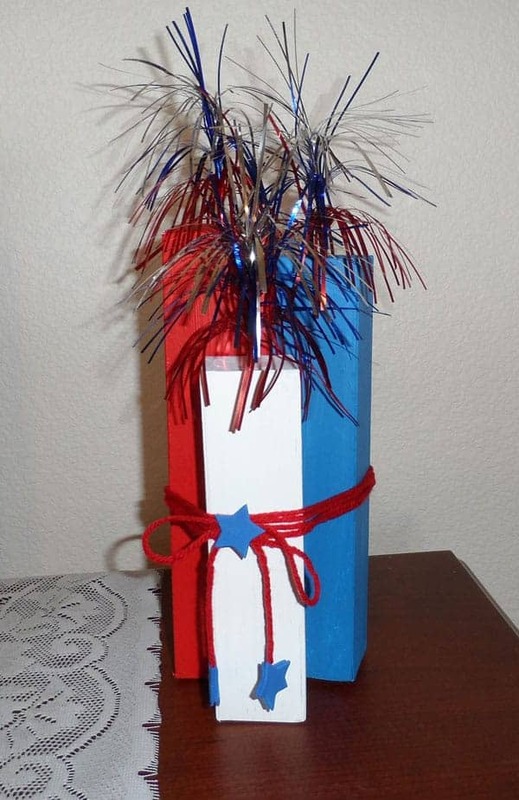 Add some paint and some ribbon to the mix and you have some wonderful July 4th decorations. 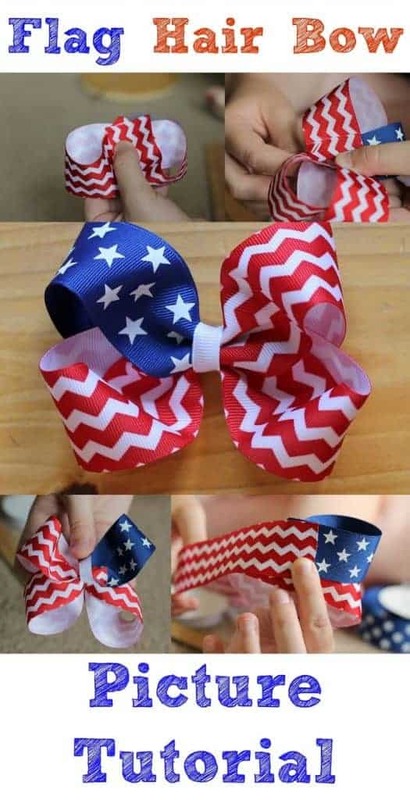 If your little girl loves bows then she will love to help you make this 4th of July hair bow. Heck it’s so cute you might want to make one for yourself too! 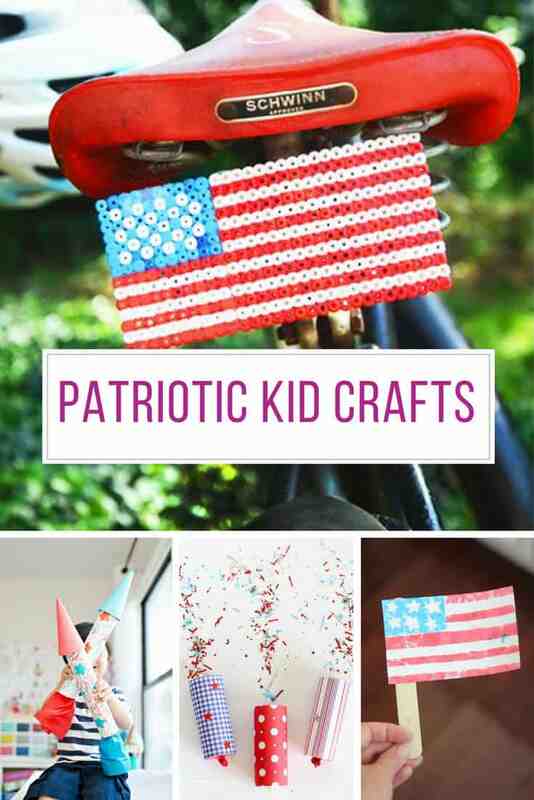 If you’ve also been hoarding popsicle sticks then Erica has a wonderful craft idea for making 4th of July flags. 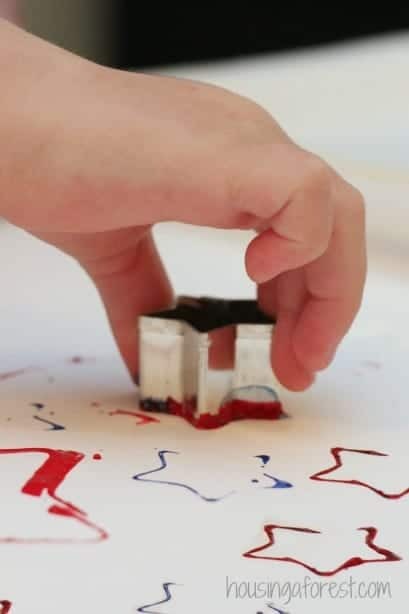 Your toddlers and preschoolers will have a blast sprinkling the glitter over the popsicle sticks. 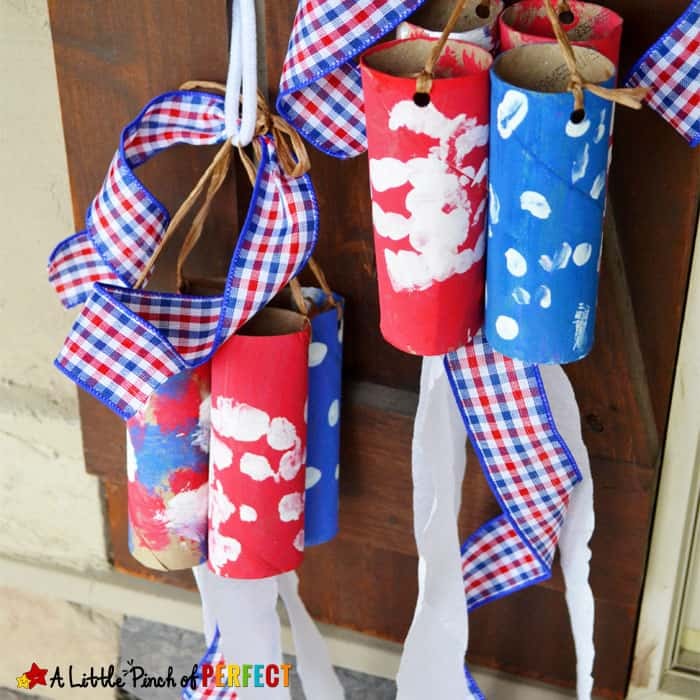 How cute are these firecrackers?? 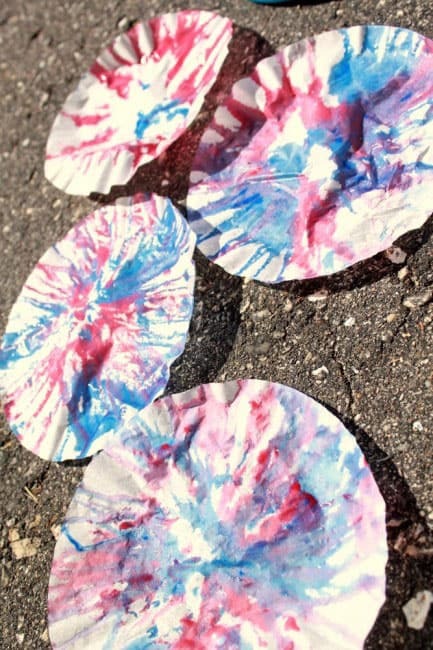 And I love finding crafts that use items you were just going to throw away or recycle! Younger kids will need some help putting these together, but they will sure have a lot of fun dancing with them when they’re done. 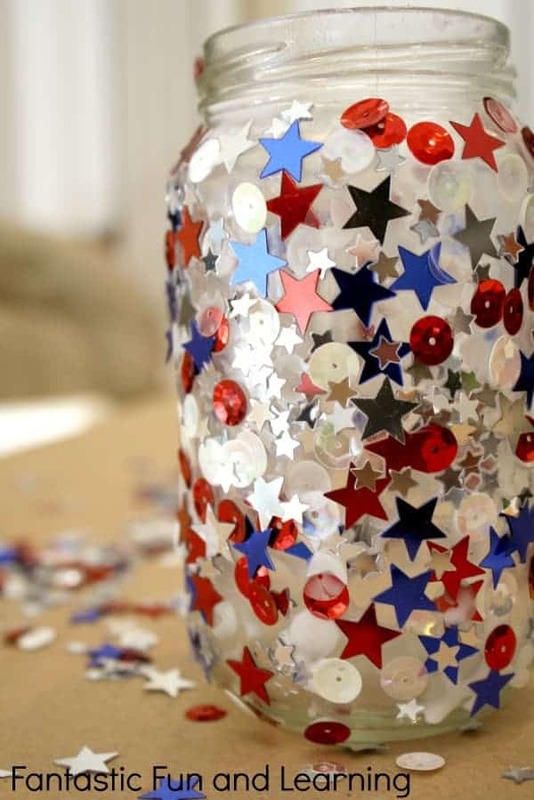 Perfect to take to a patriotic party! This cookie cutter craft is perfect for little hands and will make a fabulous picture to display, or give to grandma as a gift! 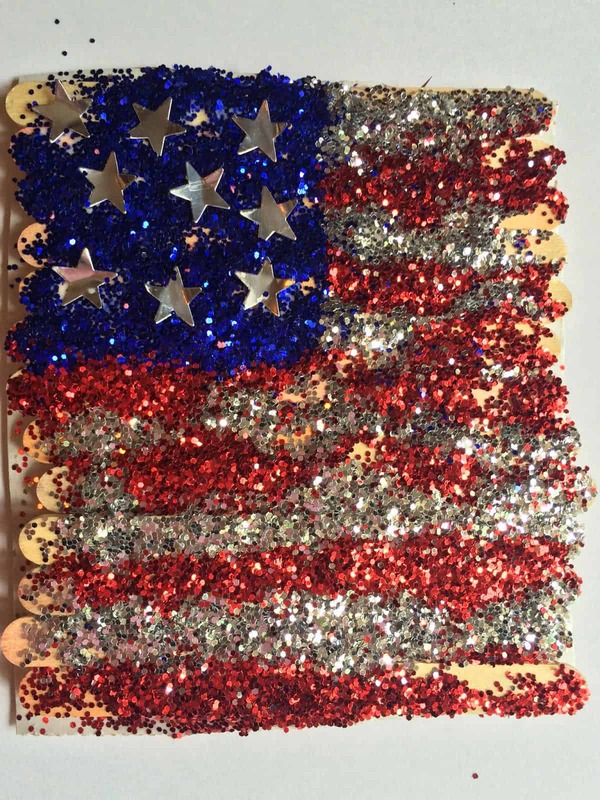 What a fabulous way to combine fine motor skill practice with a creative craft that is perfect for decorating the table on Independence Day. 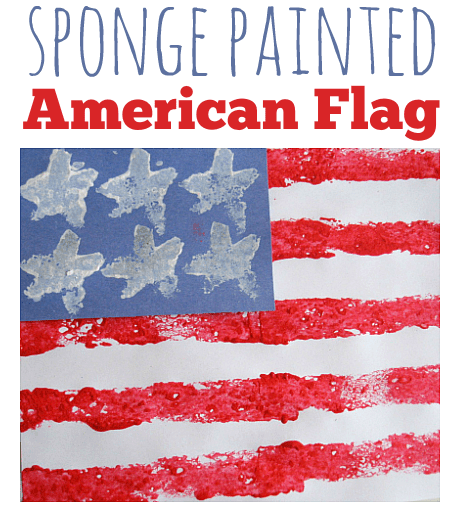 This sponge painted flag looks like a lot of fun to make! 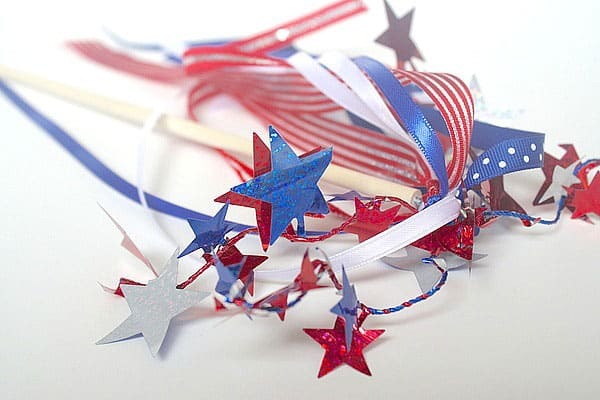 And then let’s finish up our collection of Red, White and Blue, crafts for kids with these fabulous streamers!